Even before we welcomed our foster daughter into our home, I knew it was coming. I was ready I thought. I had read so many books on the subject from some of the brightest theologians over the past 2,000 years, listened to so many lectures and sermons, and have had many conversations about it. It was on my mind as soon as my wife and I decided to begin the process of fostering an older child (in our case, a 12-year-old). These older kids in foster care have suffered so much and no matter who our child would be, they would come to us from a broken past and would have suffered trauma we could not fully understand. Because God doesn’t exist. If there is a God, why did he let me suffer like I did and allowed so many bad things to happen to me as a child? A bit to my surprise, I was at a loss for words. I felt so comfortable with the topic and have had in the past what I thought were challenging conversations about it. It was different this time because through receiving this precious child into our life, we had entered the suffering with her. When a child you now call “daughter” has suffered a life you would have protected her from, her question seemed eerily unfamiliar as did all my answers running through my mind. I paused and just prayed. This is not to say all my time spent reading and thinking about suffering, evil, and God was of waste. Certainly not. Not even in this situation. First, if you’ve thought through the subject well you can better listen to the other person and feel comfortable asking them more questions. Your mind isn’t racing in the moment in panic mode; it is listening. Second, having many jumping off points to discuss the topic, after hearing the other person’s question and maybe peeling it back a few layers, you can speak to their specific concern more effectively. Christian apologetics is far from just having all the answers because that is impossible with God. We cannot have all the answers, but we can have clear thinking to reason with the questions. Also, even though people are asking questions about God, they are not always looking for a direct answer. In my experience, most people want to be heard and understood first. Yes, in time they usually do not mind having an answer, but there is not always a need for one immediately. I listened a little more to her and asked her a few questions. These questions included ones about who she thought God was, if we could trust what the Bible tells us about God, and more. Then, instead of laying out some philosophical arguments for the existence of evil, I just explained Jesus and His suffering and the reason for it. His pain gives purpose for ours, both now and for eternity. God is just, and while evil has its temporary place in our world it is just that, temporary. 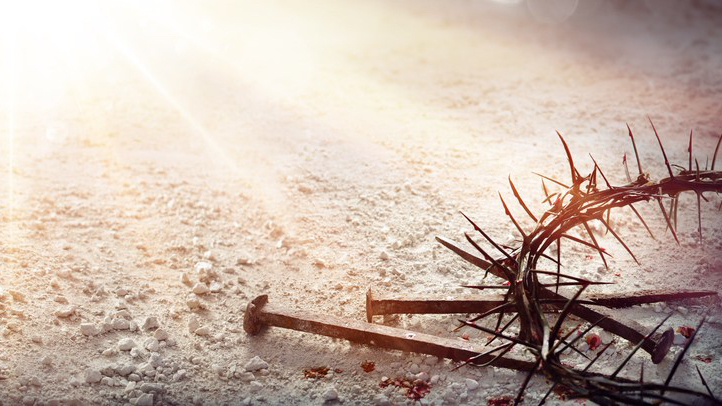 Christ’s suffering has sealed the ultimate victory over sin. And by following Christ, we are invited into not only His healing but also into being part of restoring His Kingdom. Hence, He takes our suffering working it for our good and His glory. I told her I wished I could have been there all her life to have stopped the bad things that happened to her. I would have sacrificed my life to have prevented it. But, someone much more powerful did sacrifice His life not to stop everything wrong from happening, but to bring healing, and to redeem. To take something the world would think there is no hope for and bring forth a new life, new hope, and a new purpose; something far more significant than we can imagine or wish for. That is what Jesus does. I also shared my testimony with her and let her know that while I did not suffer the way she did, I did know what suffering is like. And it was that suffering that brought me to Christ. I did not hold anything back with her either. I was honest and transparent with my story. Finally, I asked her if she believed that her suffering was without purpose. Because if there is no God, then ultimately our pain is for nothing. I explained the fact that no other religion makes the claims of Christianity; that Jesus both has conquered evil and heals us from it. I told her that her suffering was for something and maybe we will know one day or not. I did know that for now, all our suffering brought her into a home where she is loved and us a beautiful child to help raise. Her response only came by way of tears and after a very long hug and declaring “My brain is mush”, she was back on her bike riding away. At first, I was running the whole conversation through my mind; could I have said something better? Did I mess up? Did I push her away from God? I prayed and was quickly reminded that I am not responsible for her salvation and God is sovereign over her life. Through more weeks of constant prayer and some more conversations, God reminded us of His sovereignty. At church one morning, during the worship time at the end of the service done by a guest pastor from the United Kingdom (talking about prayer and suffering, of course! ), our foster daughter told my wife that it took almost an hour of “a guy from the UK” preaching for her to see Jesus. She then asked if she could talk to the guest pastor. Through tears we watched them talk, bow their heads, pray, and take communion. The guest pastor walked her back to us and told us she is now a follower of Christ. She was sobbing and grabbed both of us squeezing so tight as her tears soaked our shirts and ours her head. She was then so excited to tell everyone she was a Christian now. To know of her suffering, to listen to her tell her story, to see how much she doubted God, and then day by day, see God soften her heart was unforgettable. She does not dismiss her suffering in the past; God does not require that. But, she is covered in a holy grace that was never known before. Her healing has begun and it is evident just in her joy and knowing that her past no longer defines her; she is a daughter of a King now. What have I learned about suffering and what would I pass along to other believers, especially those who are walking with a non-believer in misery? First, continue to do just that; walk with them. Weep with those who weep. Forgo any Christianese platitudes. If you don’t know how to talk about evil and suffering concerning God, then learn! As I mentioned above, reading some good books about evil and suffering with your Bible in hand will help tremendously. Being able to ask insightful questions can be very impactful and that begins with having good knowledge. Second, by doing the first, you will become a better listener. Inside the church, I’ve grown tired of most people who think apologetics is just giving answers and arguing. It is so far from that and in my 12 years of studying apologetics, now at the graduate level from some of the top Christian thinkers, I’ve never heard it presented as just arguing. The real apologist stress on top of knowledge learning to be a better listener, gaining character and wisdom, and being a better ambassador for Christ. The other big part of apologetics is studying the tough parts of the faith and challenging your doubts. And through that growth, you will become much more equipped to discuss your faith and clearly explain the truth of the Christian worldview to others. I believe the lack of interest in apologetics in the church is related to a lack of interest in evangelizing along with an increase in religious relativism views. Third, be honest about your struggles and doubts with others. Again, apologetics helps with that because you won’t be scared or ashamed of your struggles and doubts. Don’t hesitate to share which of God’s promises you’ve relied on during suffering. And while my pain could not compare to what our daughter had been through, that doesn’t mean your suffering is not relevant because the point isn’t the degree of suffering; the end is understanding where God is in it and seeing Christ through it. Finally, through all the above pray. When walking with someone through suffering, either another believer or a non-believer, let it drive you to your knees more than you thought possible. My wife and I have never prayed so much in our life. I cannot count the nights of lost sleep just staying up and praying. Sometimes through specific verse praying over our daughter and sometimes just crying out to God over and over asking Him to make Himself known to her through the suffering. If you want one of the most comprehensive books to read on the subject, please check out “Why Does God Allow Evil? Compelling Answers For Life’s Toughest Questions” by Clay Jones.